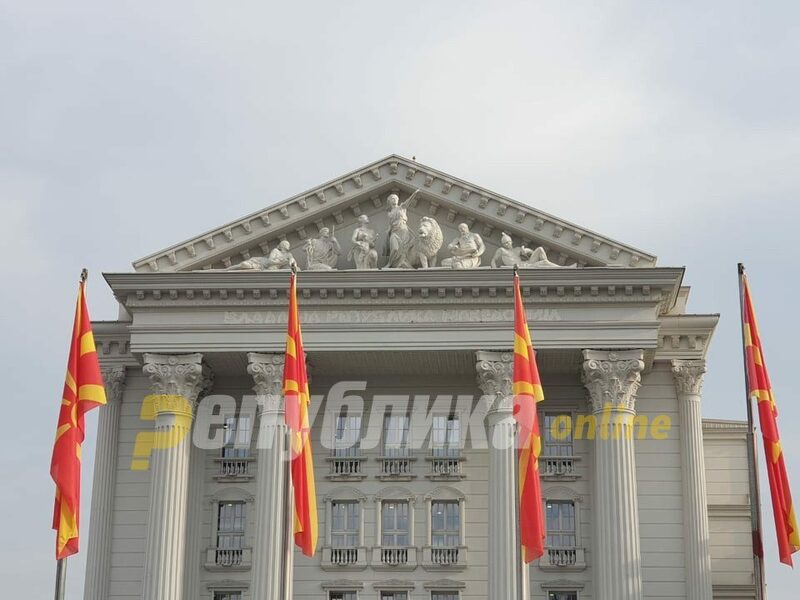 The letters “Government of the Republic of Macedonia” on the facade of the Government building were removed, in order to place the new constitutional name containing the adjective “North” in line with the Prespa Agreement. The government explained that the letters were removed early this morning due to, as they say, preparations for the NATO flag-raising ceremony which will be taking place on the plateau in front of the Government building. The new inscription, on the other hand, will be placed on the government’s facade once it is published in the Official Gazette that Greece has ratified the Prespa Treaty and Macedonia’s NATO accession protocol. “The letters above the Government building entrance were removed due to preparation for the use of the new constitutional name of the country. The change was made early this morning because, during the day, preparatory activities are to take place on the plateau in front of the Government building for the NATO flag-raising ceremony, ” the Government has said.